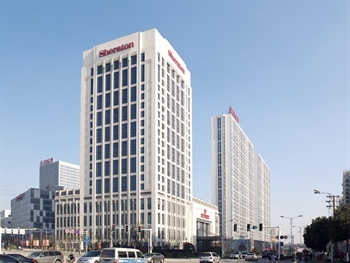 The Sheraton Zhenjiang Hotel (Zhenjiang Wanda Xilaideng Jiudian) is situated in downtown Zhenjiang, close to the Zhenjiang Wanda Plaza and the railway station. It is less than an hour drive to or from the Nanjing Lukou International Airport. There are five restaurants and lounges in the hotel, offering a wide range of local and international food. With separate Japanese, Chinese and Western themed menus, it's easy to try something new and exotic or stick with an old favorite. With a total of 1,650 square meters of space, this Sheraton Zhenjiang Hotel offers a range of facilities to those looking to organize and host events. Guests have access to state-of-the-art audiovisual equipment, high-speed internet access and the help of the hotel's event planners.